Award-winning poet Alison Stone draws from the tarot in her latest collection. 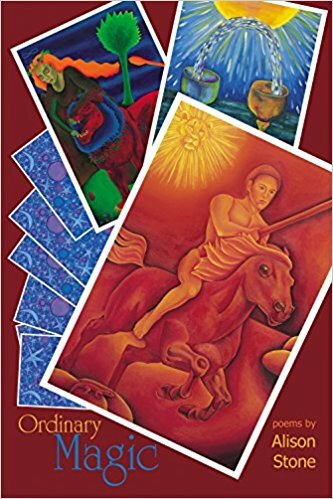 These 78 poems range from the archetypal (The Fool, The Magician, etc.) to the everyday situations of love, work, ideas, and conflicts that make up our lives. Mythical figures from past and present appear—Prometheus and Persephone represent court cards, as do Lou Reed and Steve Jobs. By turns witty and heartbreaking, this book goes down easily enough to be devoured in one sitting yet reveals greater depths with each subsequent reading. Stone's accessible lyrics move and entertain us with the struggles and joys of what it means to be human.